A leader in skincare, BCL SPA was the first brand in the industry to introduce certified organic ingredients into a complete spa manicure and pedicure system. BCL SPA’s core product line is a 4-step system that includes a Dead Sea salt soak, sugar scrub, moisture mask and massage cream. All scents are infused with certified organic fruit and botanical extracts with healing properties for different skin types. Today, BCL SPA’s Mandarin Mango is the #1 sugar scrub in the industry. 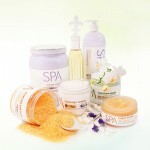 BCL Spa is known for creating innovative and high-quality products. The Lemongrass + Green Tea scent naturally treats skin blemishes and repairs sun damage for visibly improved brightness and texture. Lemongrass, a natural antiseptic, regulates the skin's oil secretion and minimizes pores. Green Tea neutralizes free radicals and reverses the skin's sun damage. The Mandarin + Mango scent deeply nourishes and evens skin tone to renew skin's healthy texture and appearance. 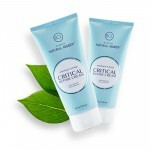 Wrinkles are reduced and the skin is left glowing, radiant, and youthful. Mandarin acts as a natural antiseptic as it rejuvenates cell production and refines texture. Mango fruit extract is a rich, natural moisturizer that deeply hydrates and nourishes. The Lavender + Mint scent calms the skin to reduce stress and tension for the ultimate aromatherapy experience. Nerves are calmed and the skin is renewed, soft, and deeply moisturized. Lavender is incredibly healing to the skin, while calming anxiety, tension, and restlessness for a soothing, peaceful night's sleep. The Milk + Honey with White Chocolate scent gently softens the skin to restore the skin's natural moisture balance for much needed hydration. Damaged cells are regenerated and protected from today's environmental pollutants. Milk and Honey work together as a nutrient-rich humectant to promote moisture retention in the skin. White Chocolate is antioxidant-rich, fighting against free radicals and damage from the sun and environmental pollutants. If you have any questions or would like more information about the BCL SPA® by Dannyco Professional products we carry, please contact WCB Customer Service or your Sales Representative at WCB.